Rick did a clinic for us yesterday at Tangle Oaks in Wilmington. We are a residential community of about 100 families. 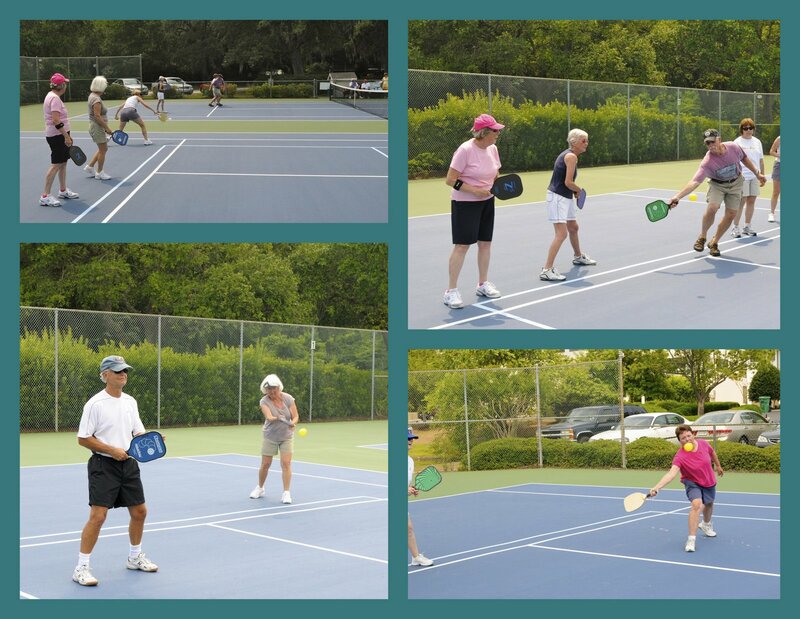 I became acquainted with pickleball while staying at Sun 'n' Fun in Sarasota FL. Our tennis courts here were being resurfaced so it seemed like a good time to approach the board to include pickleball lines on one of the two courts. Since I've been back in town,I have been playing downtown in Wilmington twice a week, but really wanted the community to get involved in this great new (to us) sport. Rick volunteered to come down and get us started. We had about 20 folks out; 15 of whom got on the courts and gave it a go. We're already talking about setting up a ladder and have set up two mornings a week for "drop in" play. CLICK HERE to see all the photos of the clinic.